a handwritten application bearing a CFAF 1000 (one thousand francs) iseal stamp. clearly showing the chosen centre and the candidate‘s working languages. 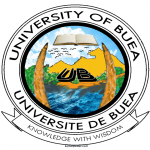 Complete application files must be received at the Advanced School of Translators and Interpreters ( ASTI University of Buea Entrance 2016 ), University of Buea. P.O. 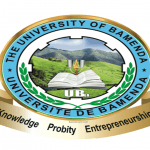 Box 63, Buea or at the Ministry of Higher Education (Room 917), Yaounde. Late or incomplete application files shall be automatically rejected.